Is the Jon Saint Germain who is a reader and rootworker at AIRR the same Jon Saint Germain who wrote the book "Karmic Palmistry" about ten years ago? If he is, I have that book and enjoyed it a lot. Nice to know he is still around. Yes, this is the same Jon Saint Germain. He also wrote a book called "Runic Palmistry" and one called "The Lover's Guide to Palmistry" which is more recent. He is now the editor of the Crystal Silence League Newsletter, and next month he will become "The Voice of the Crystal Silence league" in a new series on the LMC Radio Network. When I first conversed with you I felt an instant connection. You are one of the sweetest psychics I have ever worked with and I feel like I can talk to you about almost anything. Thank you Jon Saint Germain for my reading and rootwork services! I am truly thankful that I found you. During my reading, you didn't tell me what I wanted to hear and I appreciate that. Your advice was very helpful and you're accurate in readings. You handle your business professionally. I wasn't expecting to receive pictures via email of my rootwork being done but I thank you for everything you have done for me. I look forward to building a long term business relationship with you and you're officially my fave! I just want to add on a Thank you to Jon Saint Germain for the candle settings he did for me to support my job interviews, which concluded successfully! Jon was always quick to respond and always took the initiative to enhance each candle setting based on my petition and the results I wanted to achieve. Many thanks again for everything Jon. I just want to brag about my great reading with Jon and give him a big thanks! He was very generous with his time after I made a mistake with my first booking, and gave lots of wonderful advice. The accuracy with which he described the people in my spread gives me great confidence in his predictions. He was very easy to talk to and I feel well prepared for the rest of my conjure journey! I'd recommend him to anyone. Thank you Jon Saint Germain for the reading and advice I had received from you a little over a week ago. You are very helpful, informative and honest. I'm very grateful that you took on my case. Looking foward to our next reading. Thank you Jon. I want to say Thank You to Jon Saint Germain for his knowledge and insight. He is the go to guy for all of your spritual needs as he is an amazing spiritual worker and coach. I discovered immediate movement after he worked on things for me! Another great things is that he will actually send you picture of the work that is being done. Jon your work and services are greatly appreciated. Thank You for all that you do! Thank you for the book "Crystal Magic." I am enjoying it a lot and it also makes a good reference for looking up things later. I'm not sure how to get in touch with him on here but I'll go to his shop this upcoming week because I'm shocked. I had a reading with him and he told me he saw a baby between my love and I and i and I told him that I was negative....WELL...two days later, I'm positive.... He told me this at the beginning of my reading. I told him very little.. there was no reason for him to think we'd be having/have a baby/child, but we are thank you, sir! I just want to thank Rev Jon for all his help with readings, encouragement and works! My boyfriend and I are back together and things are going great! I definitely recommend him to anyone having issues in their relationship. He is so kind hearted and understanding and took time to explain everything to me in detail . I know I have built a long relationship with Rev Jon and will reach out to him again soon! Bless you Rev Jon Saint Germain!! Wow!!! I am still amazed @ the wonderful reading that Jon Saint Germain gave me. He also blew me away because he used his psychometry gift to read my ex...which was so on point and truthful. My first reading with him and I will definitely be contacting him again really soon for rootwork and more readings. I highly recommend him...Jon Saint Germain is the best!! Thanks so much!! Glad to see I'm not the only one that's had a good experience with him. Don't know why, but I found him comforting to talk to even when he was telling me stuff I didn't want to hear. Couldn't recommend him more. I just received my Custom Double Strength Mojo. I simply love it already. As soon as I opened the box, I felt the connection with my new ally. I love the storage bag it came in and the mini bottle of vodka. You are thoughtful and beyond professional. Your craftsmanship in creating mojos is exceptional. I love the quality and the details that went into it, not to mention the prayers. I have purchased Mojos in the past and was so disappointed by them, some too big, some looked like rags, another was DOA and another I didn’t connect to. I am so grateful I decided to have a custom mojo made by you. I wish I had done it sooner. Thanks for the great reading. It was really a pleasure speaking with you and getting confirmation on those issues. I strongly recommend anyone needing a reading to contact you. I know I will talk to you again soon! I’m very grateful to have found Jon. He has been exceptionally helpful in my difficult situation (love related). Everything that comes up? He’s on it. Problem? He fixes it. I know when I get a candle or rootwork with him, he won’t let me down. By the way, Jon has a new book out this year. It is about how to tell fortunes with rocks, gemstones, coins, rune stones, and other small objects. For centuries, stones and crystals have been valued for their pretty colours and inherent magical qualities, and certain gifted individuals have employed them for divination. But unlocking the secrets of Lithomancy has been difficult and obscure, often requiring years of research and frustrating trial and error. 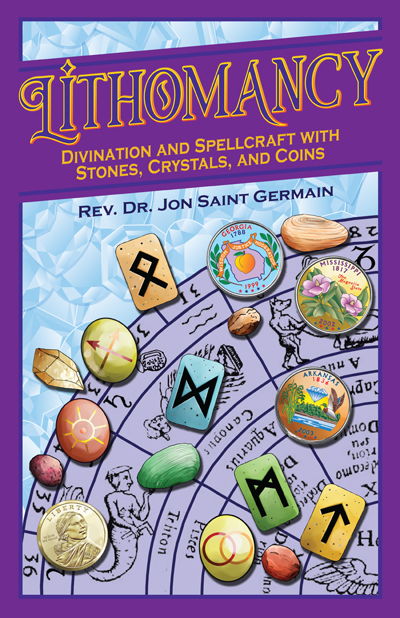 Lithomancy: Divination and Spellcraft with Stones, Crystals, and Coins teaches you how to select your stones, train them for divination, and use them to read for yourself and others. 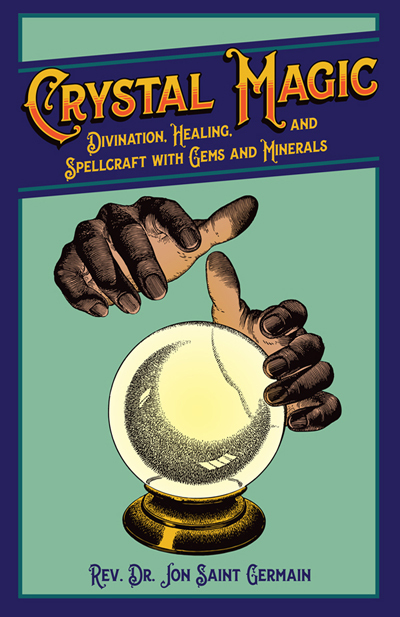 Beginning with simple two and three stone castings, and working up to multiple-stone layouts, you’ll soon gain expertise in this most rewarding method of divination. Thanks to everyone who has contacted me with compliments about my book LITHOMANCY. I appreciate your kind words and hope everyone found something useful within its pages! Hello all I've recently started working with jon an i can't wait to come back with my praise to him. I must say his spirit has a way of calming you!. Thanks jon for all that you do.